Discount available! 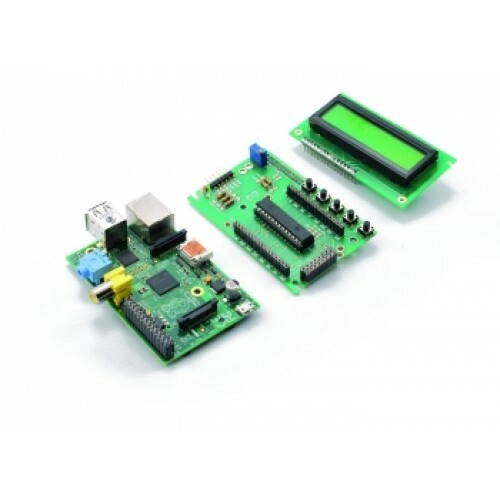 Recommend LCD Expansion Shield for RaspberryPi to your friends and get your Discount. 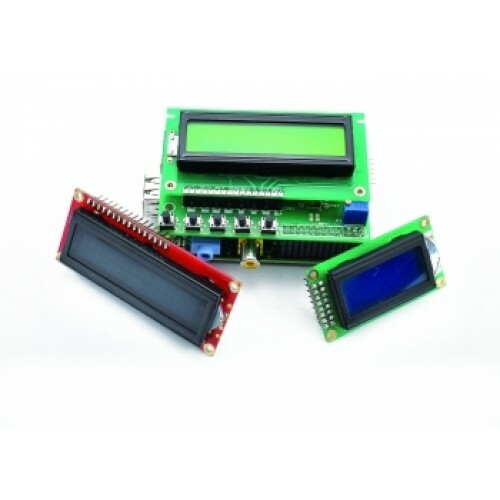 Based on the MCP23017 from Microchip, this LCD shield expansion for Raspberry Pi allows you to have a visualization system for your applications without having to keep constantly connected a monitor. 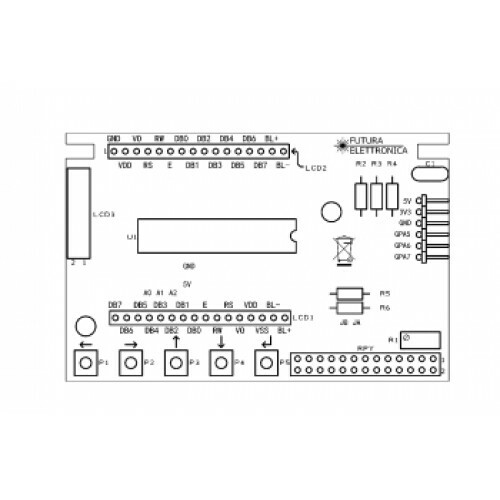 The MCP23017 is connected to the Raspberry Pi with the I²C. Moreover, even if most of the I/O of the integrated MCP23017 are used for the management of the LCD display and 5 buttons present on the shield, it will remain available 3, which are available for any custom use. 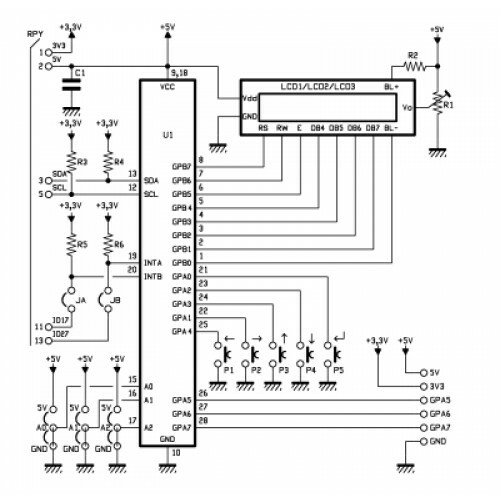 The 5V power supply is taken from pin 2 of the connector GPIO of Raspberry Pi and the ground is connected to pin 6. A trimmer, connected to pin V0 LCD allows you to adjust the contrast of the screen. 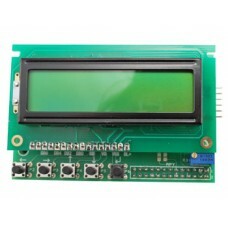 The shield has different connectors can accommodate different types of LCD. We have used and modified the library made available under the BSD license by Adafruit Industries in the GitHub repository. We have prepared a test program by changing the test program included in the library folder, getting the program visible in the LCDProva.py. 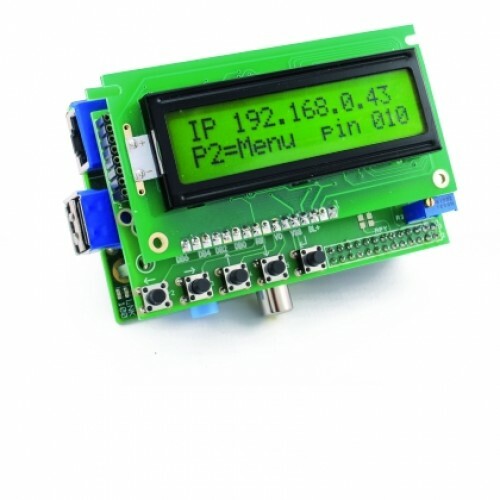 The program, by pressing the buttons on the shield, it allows to obtain information on the status and performance of the system, summarized in the LCD. This project comes in kit. 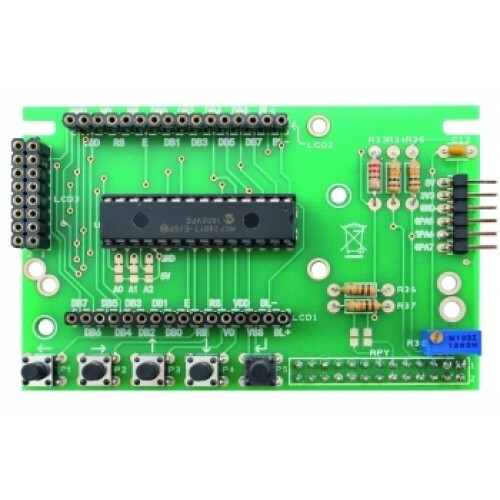 Some components have to be soldered to the included PCB.